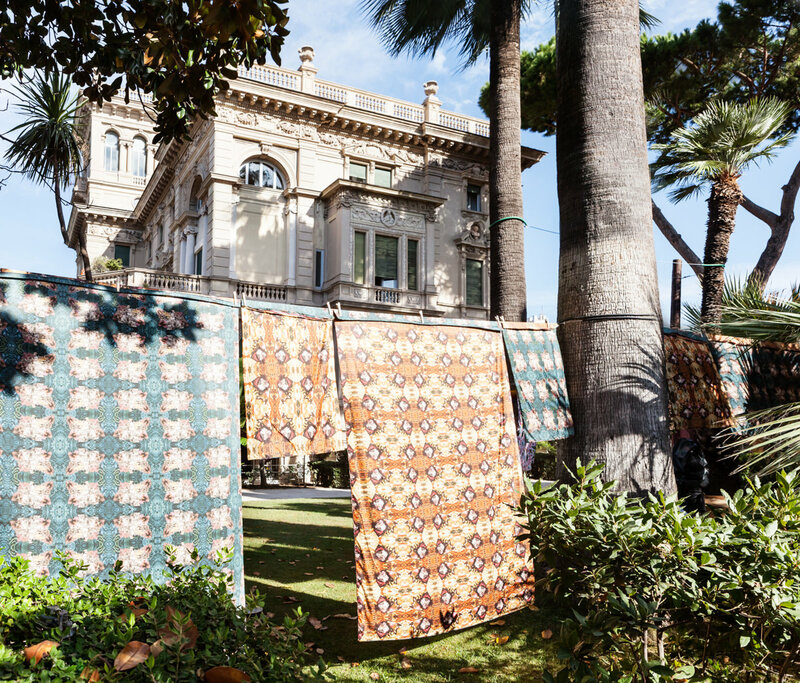 palm trees in the garden (the design of the fabrics has been done in collaboration with Noémie Gygax, no-do). While the dreamcatchers are decorated with the features of a planetary tropical paradise, the humble beetroots are transformed into European, African, American, Asian and Australian flowers. Some of the specimens were gathered personally by the artist’s father. Explorers and the nouveaux riches are always excessive, lacking in any socialist or democratic restraint. Swiss with Italian roots, Donatella Bernardi, born in 1976 in Geneva, is a versatile artist. There are no clear boundaries inside her between artistic work, research, the organization of exhibitions, publication and the production of films, or teaching at the Royal Institute of Art in Stockholm. She encourages collaborative practices, from the Zorro & Bernardo group active in the early 2000s, to the Eternal Tour festival that began in 2008 and has developed in different phases, exploring the socio- cultural and anthropological dimensions of different countries and continents. A nomad and a cosmopolitan par excellence, her life represents her status as a citizen of the world. Former ISR fellow, 2006/08.